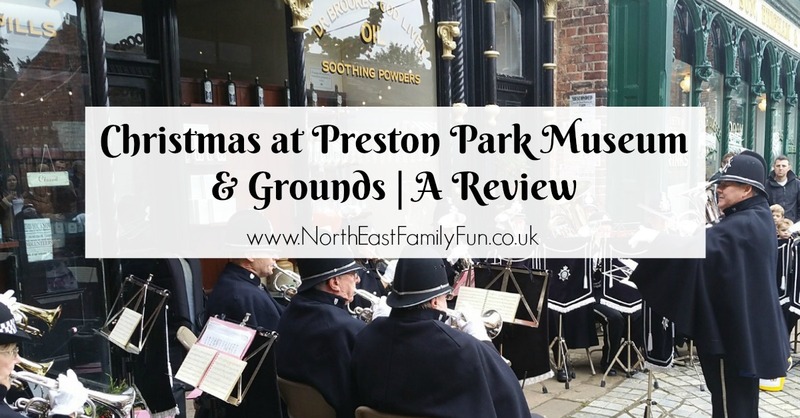 Last Sunday we visited Preston Park Museum & Grounds, Stockton-on-Tees for their Christmas Bazaar weekend. We were glad to see plenty of parking available. There was a short walk across the grounds from the car park to the museum. A huge adventure playground, skate park and ample picnic space makes Preston Park a ‘must do’ on our summer 2017 list! Once inside the museum, we sauntered around the independent stalls which sold traditional and hand-made gifts, accessories and sweets. Emily and Ella made a bee-line for The Fudge Station. Tempted by tasty samples of gingerbread, rum & raison, salted caramel and jaffa flavours, we couldn’t resist a cheeky purchase. Needless to say the boxes of fudge were soon demolished. Outside, at the back of the museum there was cobbled streets and traditional shops. Some of the shops were closed (like the fish & chip shop ☹), but those that were open had staff dressed in traditional outfits who were interacting and engaging with all the visitors. 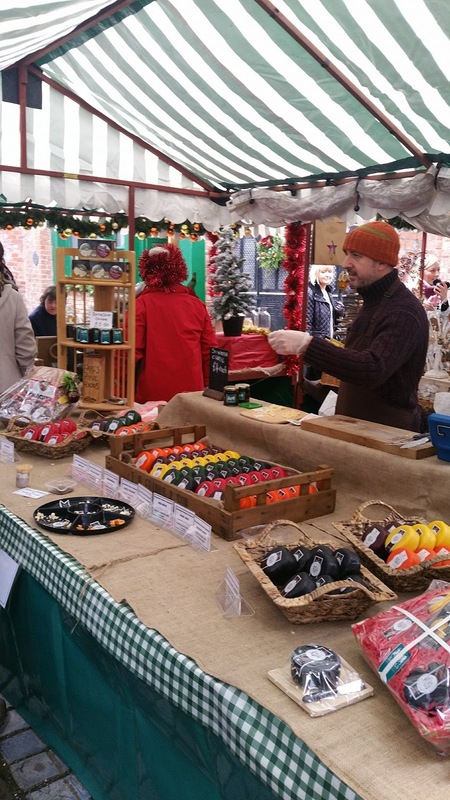 More market stalls were set up in the main street. We came across a stall by Illuminating Candles. They sold a huge selection of scented candles and oil burners. Us grown-ups (who aren’t allowed to eat synful fudge), were tempted by the delicious smell of this stall ☺ Our houses now have a lovely spiced orange smell. 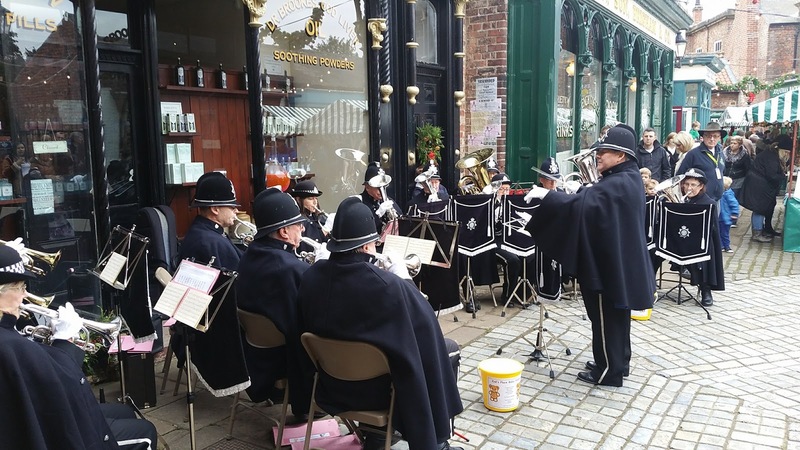 A brass band wearing old fashioned police uniforms were playing Christmas tunes in the street as we wondered down to see the ‘festive donkeys’. 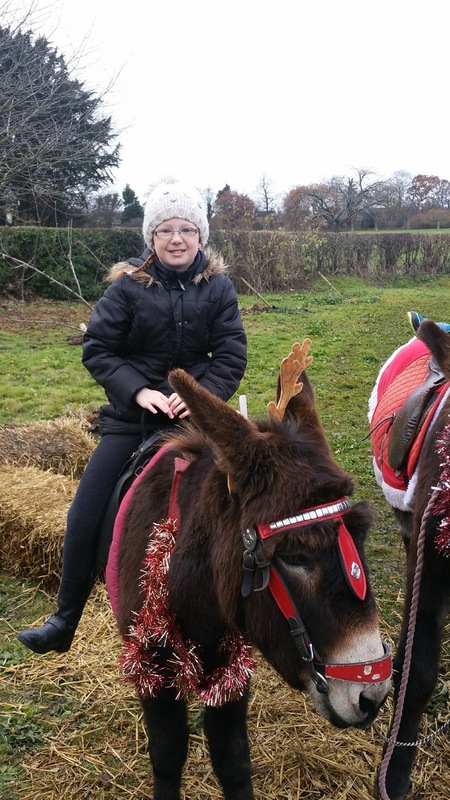 Operated by Burniston’s Traditional Donkey Rides, Emily and Ella thoroughly enjoyed a short ride on Sonic and Jack. Next we headed back inside, to write a letter to Santa. Two lovely ladies in Victorian costumes explained to Emily and Ella how to use the ink well and quill to write their letters and where to post them. Partially pre-printed letters were handed out to guide the kids with what to write. 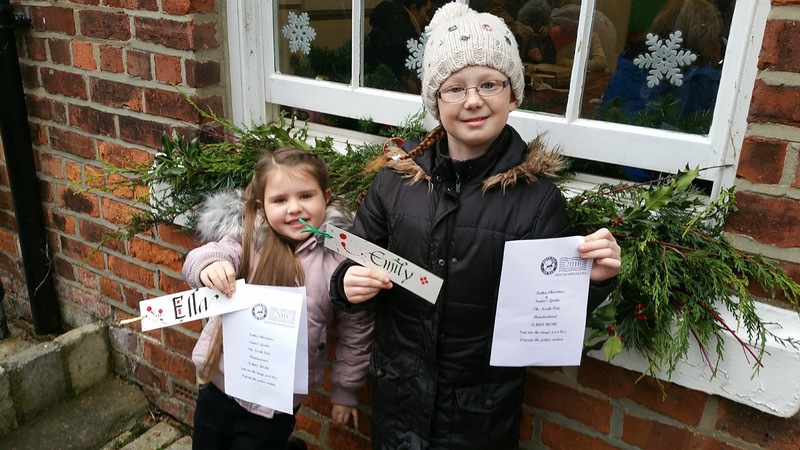 Not surprising, both girls put themselves on the ‘nice’ list!! 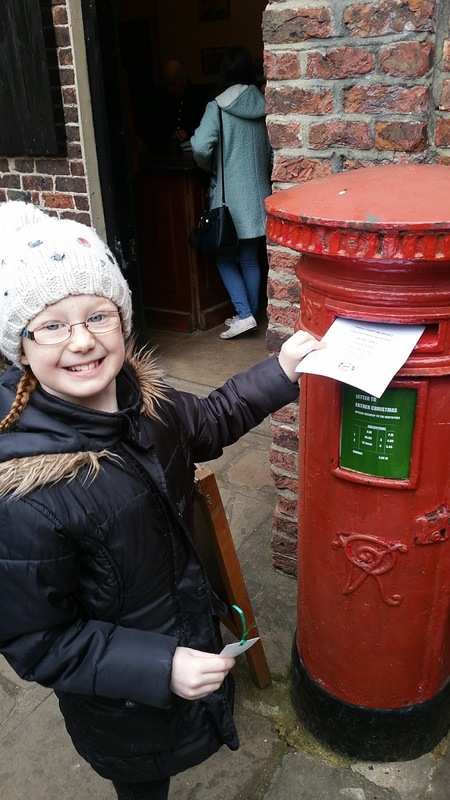 We headed up to the magic post box outside of the police station and the girls posted their letters. If you put your address on the back, you will get a response in the next few days. 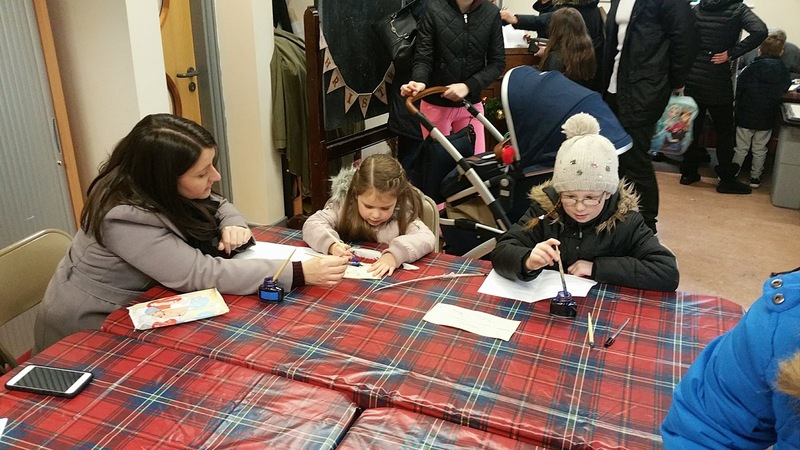 Other activities on offer were calligraphy bookmark making and leather toy making. Otherwise known as bashing a piece of leather with a mallet until you have a headache! After all these festive activities, it was time for our visit to Santa’s Grotto. You have to pre-book a timeslot and it’s £5 per child. 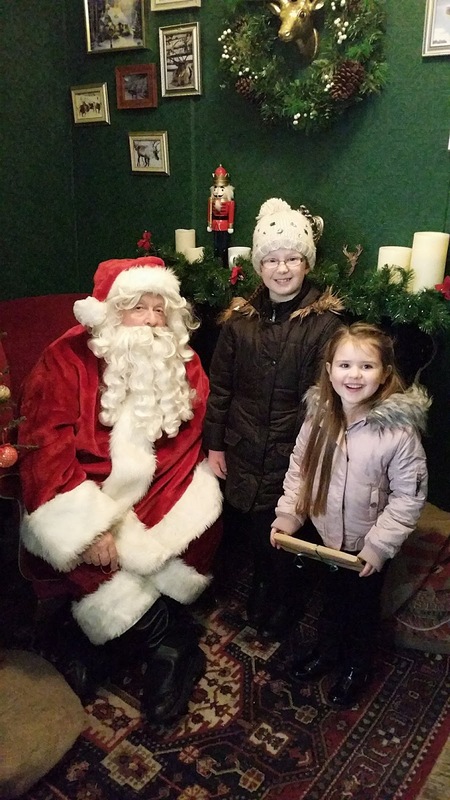 Mrs Claus was on crowd control at the entrance of the grotto and a comedy couple also dressed in Victorian clothing provided entertainment for the queue. They handed out jingle bells to the kids and played a ukulele, while singing Christmas songs. We had a good laugh with them and it passed the time quicker. We waited about 20 minutes before entering the decorated grotto which had a much needed log fire. Santa was really good; he interacted very well with the kids and cracked jokes. He told us he had a huge stock of eye pads after a misunderstanding several years ago! We had about 10 minutes with Santa and plenty of opportunity for photos. Santa gave Emily and Ella an early present, which they couldn’t wait to unwrap. There wasn’t much in the way of places to eat and get a hot drink. The tearoom was full when we tried to get a cuppa, so we had to buy one from a coffee cart in the street. There was outdoor seating, but we had to linger about for a table. There were only two food vans available for lunch. Blackwell’s of Norton were offering pulled turkey, stuffing and cranberry sauce in a brioche bun for £4 and The Spitting Pig Company had pulled pork stotties with all the trimmings also for £4. To be honest, I thought that was a bit pricey. However, they also sold hot dogs, burgers and bacon rolls for £3. After standing for 20 minutes in a queue for a hot dog for Emily, I was told there was none left. It was only half one! That’s one of my pet hates…. I can’t understand why they don’t cross it off the menu when something is sold out! Anyway, as we own two fussy pants eaters, we had to leave to feed the starving children! Overall we had a lovely day out, although it was cut short by the lack of lunch options. We could have easily spent another hour or two after lunch mooching around the stalls and enjoying the festive atmosphere (and mulled wine). Thanks Kelly. We'll definitely make sure we save a space in our diary to visit next year. I'm sure our Jack would love to meet Jack the Donkey. I think we'll pack a winter picnic though.